YES!!!!! What does this mean? My mind was racing with possibilities but reading it, living it with them took me so much further than I expected. It just blew my mind. Blew OUR minds!! WHAT. AN. ENDING!!!!! Kelly: Just finished. Arggg. Hate that I love a good clffie! Jen C: I just finished this one and wow. I’m in a haze and I don’t think I’ll get out of it until I get my hands on book two. My head hurts, my heart hurts. I feel raw. I adore Charlie and Silas. And this story. Oh my god this story. I can’t wait to see where Tarryn and Colleen take us. The writing was beautiful… I don’t know how to describe it – The two POV’s blended flawlessly yet were distinctive enough to tell the two characters apart. Magnificent. The ending though. I am TORN UP. I hope the wait for book #2 isn’t too long! I trust these two writers though and I know they continue this unique, wild ride and take us somewhere we couldn’t dream. Julie: Loved it! Even with the cliffy, I still would give it 5 stars. I can’t wait for book 2! It is what it says… but it’s so much more and I had no clue what was going on. Piecing things together, so sure that the obviousness of this eerie mystery would punch right in the gut. And still… I have NO clue, but it was worth every single moment getting there. And I’m scared. Scared I tell you!! And titillated, and I’m ready for part two now, ladies!!!! Charlie. She “awakens” to find herself in school one day, having no clue how she got there. No clue who the people around her are. No clue who her friends are. No clue who she is. *gasp*!! I wonder if they know me, and why I don’t know me. But she moves, responds to those greeting her, and tentatively finds her way around without anyone realizing she’s lost her memory. Or completely lost her mind. She’s not sure yet which. It’s frightening not knowing who you are – even more frightening thinking you’ll get it wrong. I’m scared now, really scared. It’s gone too far. If I say something now I’ll look…. crazy. And she makes it to her school cafeteria and sits with those calling her over. Next to “Silas”. Who appears to be her boyfriend, by the reactions of their “friends”. And while he is acting like part of the group, the sweat running down his face, and his bewildered expression, so similar to her own, have them both realizing they are in the same predicament. I stare at him. I don’t stop staring at him until finally, he turns his head to look at me. A line of sweat rolls down the side of his face. Neither knows who the other is. No memory of anything or anyone. And trying to play a part while they eventually try and figure it out. And I still stand by that. WHAT THE HECK is going on and how? Why? The clues are so exciting!! And freaky. “What can you remember?” she asks. She’s scared. Nervous. Suspicious. Our emotions are reflections of one another, and that’s when the clarity hits. She may not feel familiar. I may not feel familiar. But our actions – our demeanor – they’re exactly the same. And plenty of swoon in there too, ’cause sometimes two people are just made for each other, ya know? Connected since birth, and reconnecting now, even as strangers. This is going to be good, my friends. :D!!!! It feels like I’ve been on stage for hours, acting out scenes I have no script for. P.S. Thank you to the authors for sending me a review copy. I’m LOVING it!! Just finished this little page turner. I have no clue really as to what the heck is going on, but I love it. The shrimp girl- what about her? Oh yes… the ostracized weird girl… hrmmmmm? OMG Maryse, I’m torn!! 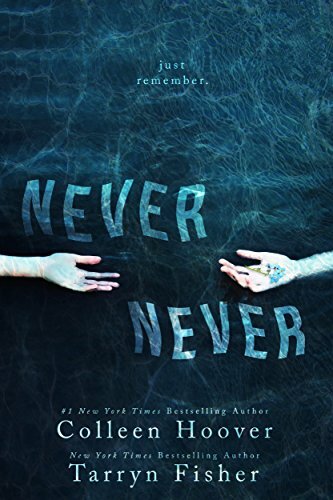 I want to read this one so bad (because, duh, Colleen Hoover and Tarryn Fisher, together!) but you know how I am with cliffhangers. And a cliffhanger by Tarryn Fisher? *shudder* I would have flipped my cookies if I had read The Opportunist before Dirty Red was out. But then I had to wait for Thief, and after that last line of Dirty Red…ugh!! Do you know when book 2 will be out? I encourage anyone on the fence to read this. I could not put it down! It can be read quickly – it’s pretty short. But I loved every minute of it and especially the uniqueness of the story and the characters of Charlie and Silas themselves. I have no idea where book 2 will take us but can’t wait to find out! Just finished this one. ARGH!!!! This is not a book. It’s HALF a book. I am not even calling it a novella, because that’s just a short novel…. you know with a whole story!!! What. A. Tease. Don’t get me wrong. It was a fabulous tease…. but a total tease. This is why I am becoming ADD, I think. Because I read all these incomplete “novels”, then have to read something else, then get back to the story (and hope I remember it) months later. Is there a reason they couldn’t have just released this one when it was finished? C. Hoover usually gives us a WHOLE story in her novels. A big set up for some cool things later, I’m sure, with shrimp girl and tarot card readers! That being said – I agree 4 – 4.5 stars for story, writing, characters. But, I am Never Never doing this again if I know it’s a huge cliff hanger. 4.5 stars loved this story. Had me trying to figure things out the whole time. being part of the story with that cliffhanger really screws my mind though and I just hope that when bk 2 comes out that the story and characters aren’t lost to me with the wait. Great review! Such a unique, FUN read. I thought the cliffhanger made it even better as weird as that sounds, and I’ll love rereading in May before the next one comes out. Their discussion group has caused me to lose all sense of time. It’s so fun reading all the theories.